Disruption of an historic skyline? I lived in Venice for five weeks last semester as part of the Cities on Water study abroad program offered by my university (check out our blog here). I had never been there before, but heard various stories from others who had. No cars, the water is treated like a highway system, building heights are restricted, and there are tourists everywhere. All of those things rang true as I explored the city in the lagoon and I realized that they were great just how there were. I mean, Venice isn't a UNESCO World Heritage Site for nothing, right? Just watching the enormous cruise ships devour the island's skyline showed that some things are better left unchanged. 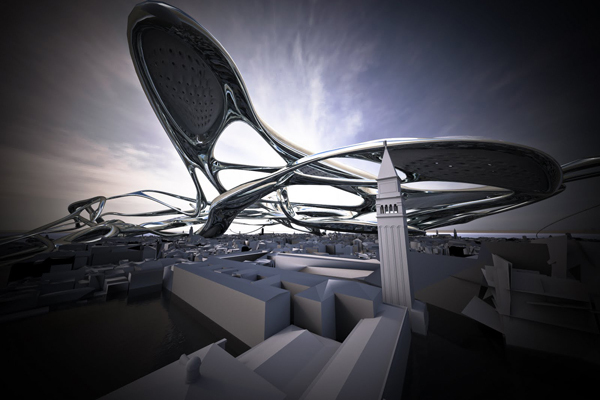 While doing some research for my capstone project today, I came upon this project proposal for Venice. I cannot imagine this ever taking flight, and really hope that something like it never does. It looks as if the context in which it is placed was not even taken into consideration during the design process (note to self for capstone...). Not only does it look horrendous, it would entirely change the experience of inhabiting Venice that just cannot be found anywhere else in the world. 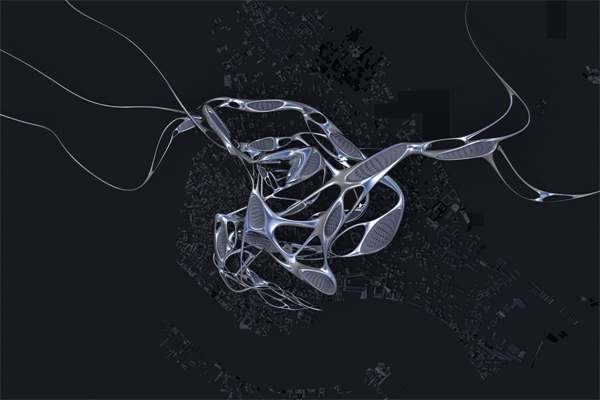 Michela Tonelli, Wei Ye and Thomas Bagnoli's Venice CityVision Proposal: "Morphogenesis of Dreams". Have you been to Venice? What do you think of this proposal?